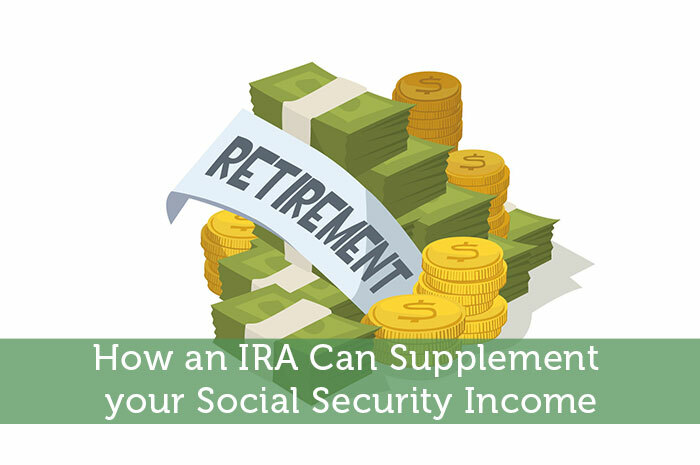 Using an IRA to supplement your Social Security can improve the quality of your retirement, but there are some things you have to be aware of. Having an IRA can affect your benefits, but it will not reduce the amount you are entitled to receive. It can, however, make them subject to income taxation. Still, it’s important to have an IRA, even if you have a 401(k) plan through your employer, because you will not be able to live on Social Security. An IRA is even more necessary if you’re self-employed, and you must keep the money in the account until you reach a certain age. It’s important to keep this in mind, or you will have to pay a stiff penalty (in addition to any income tax). Just let it grow untouched until you reach retirement age, and set aside a portion of your income each month. This money will collect interest over the years, so you could build a substantial savings by the time you’re 65. Betterment has a great selection of IRAs, and they even have a retirement planner which can help you put together a long-term savings strategy. They even have a good selection of mutual funds and ETFs, which you can use to supplement your retirement income. One of the things I like about this program is that it allows me to see me cash flow throughout the month, and I can group my income and expenses into different categories. While this won’t be a surprise for many of you, you should do the best you can to get out of debt. And Personal Capital is a great way to help you do that. You can not only look at your cash flow throughout the month, but you can also monitor your net worth. I know that getting out of debt can be easier said than done, but it’s an important part of your financial well-being. But before you can do that, you have to control your spending. Otherwise, you’re dead in the water. Before I close out this article, I would like to talk about Motif Investing. The reason why is because I feel this could be a great way to build a long-term portfolio, and you can do it with very little money up front. The company groups 30 stocks and ETFs into what they call “motifs,” and they sell them for $9.95 a piece. This can be a great alternative to mutual funds because they don’t have the management fees that are often attached to these types of investments. The motifs are grouped according to different investment criteria, but they are often categorized by industry. Growing old is like death and taxes. It’s going to happen, whether we like it or not. So, it’s best to be prepared for it, and you can’t depend on the government to give you the retirement dollars you need to enjoy your golden years. As Baby Boomers are reaching retirement age, the reality of this is becoming clearer. In fact, many of them are worried that they might outlive their income, which means they will have to work past the age of 65 – whether they want to or not. This should be a clear indication for any middle-aged folks (like myself) or young Millennials to prepare in advance for when that day comes.